Zotac Magnus ER51060 review – This is a barebones PC, meaning that it has some of the components pre-installed (it’s not just a ease), but leaves others for you to add. Barebones can be a budget option, but not in this ease: the Magnus ER51060 comes with an AMD Ryzen 5 1400 processor and a GeForce GTX 1060 graphics card, putting it in the upper mid-range of consumer PCs. To test it, we added 4GB of memory (the least you’d want) and an M.2 SSD, on which we installed Windows 10 Home. 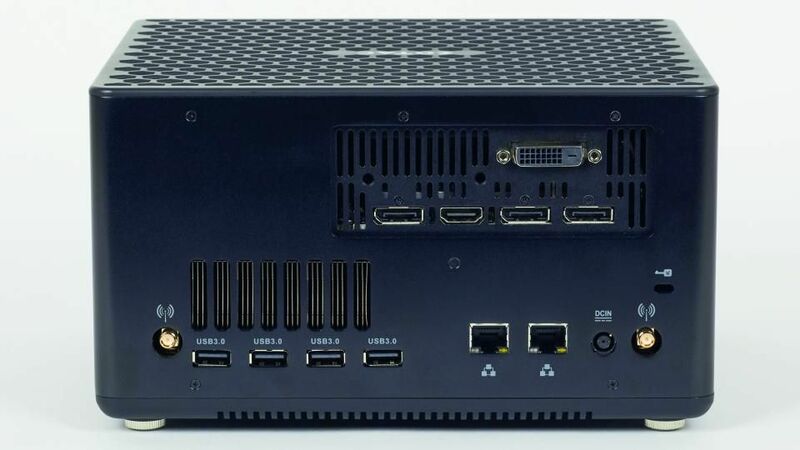 Unlike with most of the desktop PCs we see, 802.11ac Wi-Fi is included on the motherboard, with two external aerials supplied that attach at the back. The very compact case, which comes with a mains adapter, has no room for PCI expansion cards or optical drives, but there’s a SATA III connector and room for one hard drive. Strangely, the only two fast USB 3.1 ports (one Type-A and one Type-C) that would suit external storage are on the front, alongside microphone and headphone jacks and an SD card reader. There are four USB 3.0 ports – more suitable for your keyboard and mouse or inserting USB sticks – at the back, which also features one HDMI, one DVI and three DisplayPort monitor outputs as well as two Gigabit Ethernet sockets. In our tests, the Magnus produced solid scores for photo and video editing and even better for multitasking, showing that Windows 10 programs will get the full benefit of the Ryzen’s four cores. Zotac’s version of the GTX 1060 uses the 3GB option, not the more powerful 6GB, but it’s still a very capable graphics card that will run any game smoothly at Full HD without much (or any) compromising on quality settings. The only problem was noise from the fans as they labored to push air fast enough through the small space, a noticeable problem with a PC you’re more likely to keep on a desk or by the TV than on the floor. We’ve tested much quieter tower PCs with similar specifications. Plus around for 8GB of memory, a 250GB M.2 SSD, keyboard and mouse, the ER51060 isn’t cheap, and a big drawback for most users is that Windows 10 isn’t included. You could run an open-source operating system like Linux for free, but it’s unlikely that would suit your purposes if you’re buying a PC with a fancy graphics card. 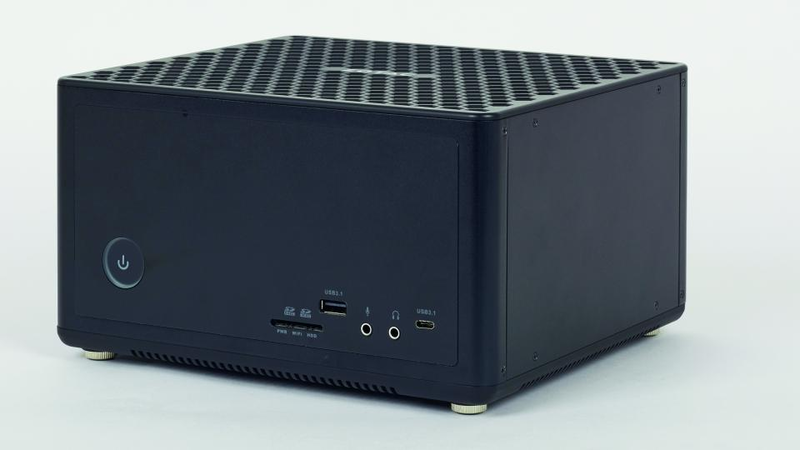 It won’t work out cheaper than a ready-made desktop PC, such as those machines running AMD’s Ryzen processor we tested recently, but part of the appeal of the barebones concept is that it’s associated with small form factors. 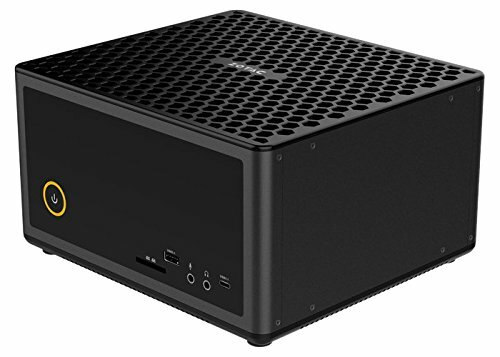 Intel’s NUC (Next Unit of Computing) is a popular example. Zotac’s Magnus is at the other end of the scale, but still takes up much less room than a typical tower PC. Installing an SSD and memory yourself isn’t hard. You’ll need 2133MHz or 2400MHz DDR4 SODIMM (smaller size) RAM modules, available from any memory supplier (such as Crucial: http://uk.crucial.com), and an M.2 SSD, such as Samsung’s very fast Evo 960 250GB. If you’re not familiar with these standard sockets, search online for tips. Remember to ground yourself before starting, to avoid electrostatic discharge. Touching a radiator should do the trick. Hold circuit boards with your fingers straight against opposite blank edges.